Our 6th Annual Graduate Student Philosophy Conference program has been finalized. We are quite happy with our list of contributors who will be delivering excellent graduate student scholarship. Click on the link to the conference poster below for more details. 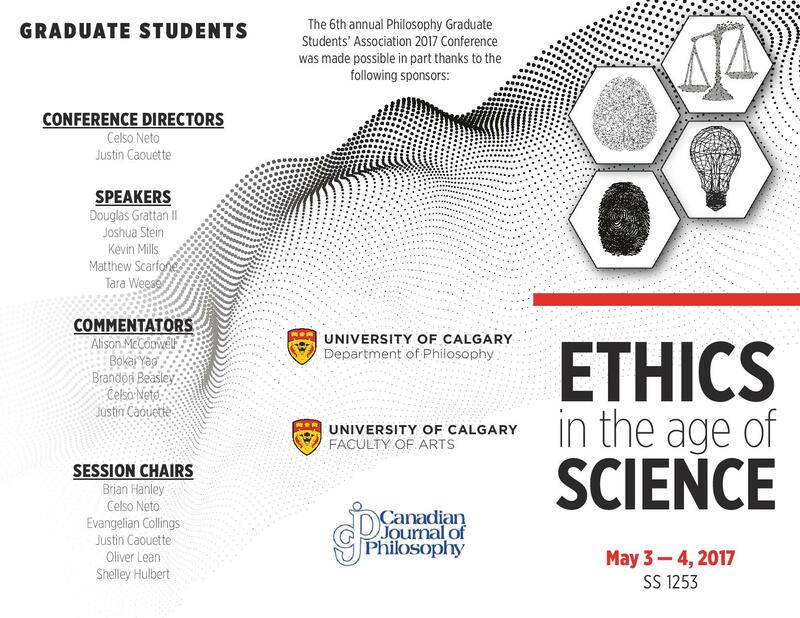 A special thanks to the Faculty of Arts, The Philosophy Graduate Student’s Association (PGSA), The Department of Philosophy at the University of Calgary, The Canadian Journal of Philosophy, and the Graduate Program at the University of Calgary for their generous support.